BRING YOUR BOAT, WATER CRAFT, AND PADDLE BOARDS!! This wonderful lake view condo is just steps from the outdoor pool, tennis courts, and private beach! 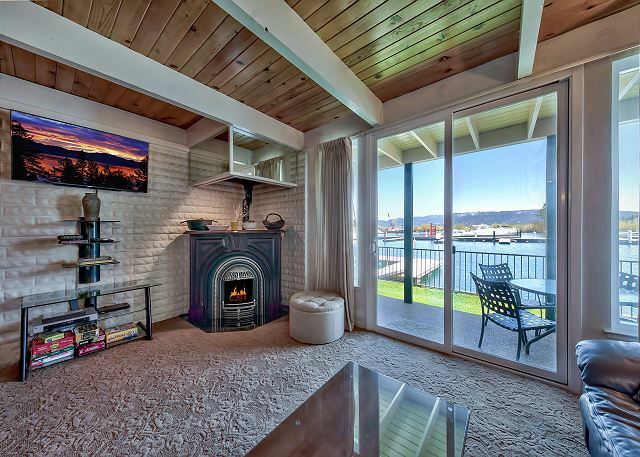 Great views of the Marina, Lake, and surrounding Mountains can be enjoyed from the living room, master bedroom and two decks. 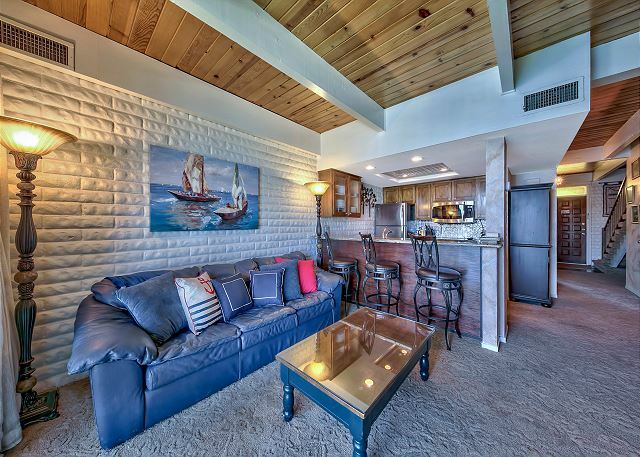 Located in the prestigious Tahoe Keys, just minutes from skiing and the casinos. Watch the boats come and go with your own channel view patio. 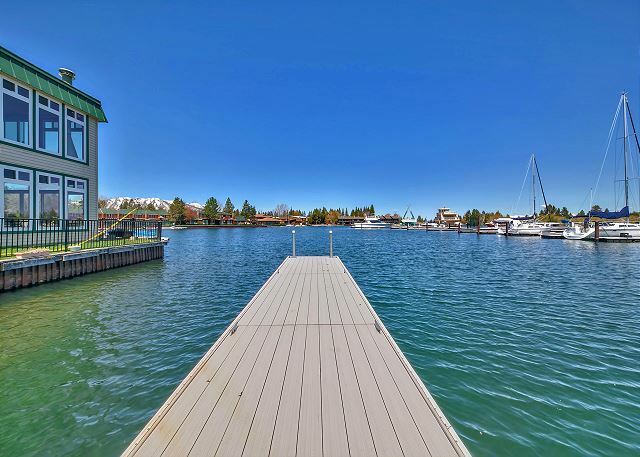 You are just seconds away from open water from your dock! Kitchen was recently updated with a new microwave and back splash! Fresh and clean. Bedroom 3: Twin top bunk with a bottom full bed, and a twin bed. A guest pool pass is $10.00 per day person. A seven (7) day Guest pass may be purchased for $40.00. Children five (5) years and under are admitted free with an adult pass holder. Includes indoor pool, outdoor pool, beach-volleyball-playground for 7 consecutive days. A guest tennis pass may be purchased for $20.00 for two players, includes: all tennis courts--beach-playground volleyball for 24 hours. A seven (7) day Guest pass may be purchased for $60.00. You will need your guest rental contract with you to purchase passes. Guest passes may be purchased at the pool or at the Tahoe Keys Property Owners Association office, to the left of the outdoor pool. Bring your rental agreement with you! We had an absolutely amazing time at the Lakeview Condo. The location of this place is incredible. Close enough to State line to drive in a few minutes, but far enough away to feel a little more remote. The dock was the main reason we went with this place as we wanted a place to keep the boat. 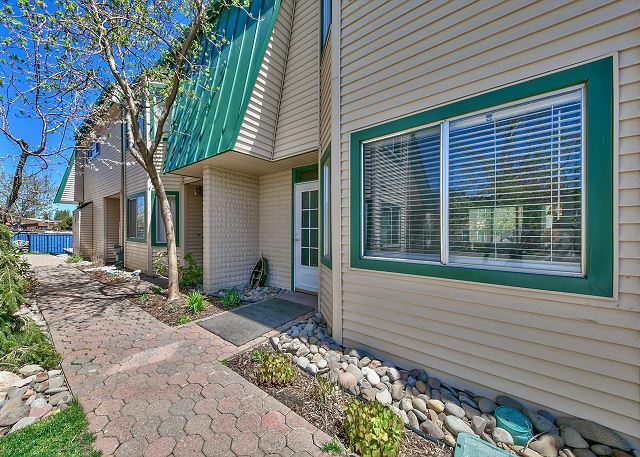 This side of the Tahoe Keys is very easy to get in and out of, and the condo is located near the main outlet to Lake Tahoe. Other areas of the Keys are like a maze and hard to find if you're not familiar with the area. 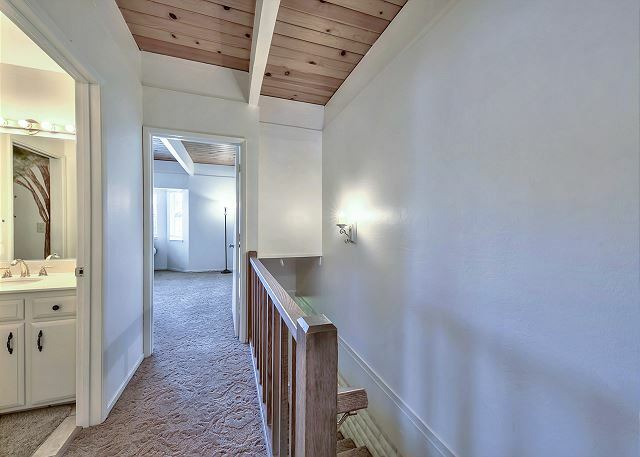 The place was big and matched the photos, with plenty of room in the 3 large bedrooms WITH 3 baths! The only, minor complaint we had is the kitchen area has an odd smell to it...almost like boiled broccoli. We couldn't quite place our finger on it...nothing that made anyone sick or ruined our stay, but we did purchase some candles and air fresheners to try and make it better. I read a couple other reviews that said the same thing, but clearly not everyone noticed it...and maybe it was just us. Either way, not an issue at all. Would come back for sure! Tyler K from TALLAHASSEE, FL does not recommend this vacation rental. Really enjoyed the neighborhood and waterfront view; however, the smoke smell on the first floor deterred us from spending much time in the kitchen/living room. My husband and I rented this place to celebrate our 30th Anniversary - no disappointment here! The place was great! Two story townhouse with one bedroom on the main floor and two upstairs. The only complaint is the living room is very small and perfect for just the two of us but when we had friends stop by was a bit crowded. We enjoyed watching all the boats go in and out and especially the gondolas! The waters edge is literally 6 feet from the patio! Will rent this place again! It could use some updating old carpet kind of small for larger groups. Not happy about the pool. It was a lot of trouble to use. And had to pay. a guest from Mill Creek, WA does not recommend this vacation rental. 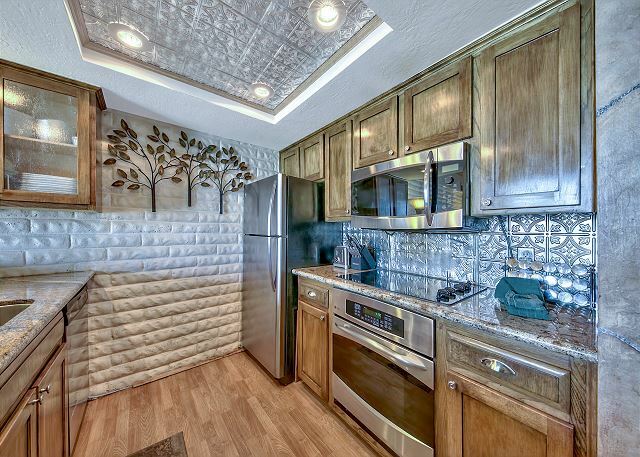 If you do not like the smell of cigarette smoke, this condo is not for you! I really am not a fan and would not have stayed here if I had known it was used by a smoker. It was a great relief when we switched after 2 nights to a different place. Other than the stale smoke smell, the condo was cute and in a really nice location. We enjoyed the patio (and sitting there was an opportunity to avoid the smoke smell). The brown carpet was dirty and stained -- an update to that would be nice. Location was perfect! We are so sorry, none of our units allow smoking and we did check it prior to your arrival and we did not notice a smoke smell We will get the carpets cleaned! The townhouse is in a beautiful location. Love the views from the master bedroom and living room. Nice bunk beds for the kids. Close to everything in the keys! Upgraded master bath that is very nice. BUT. . . even the basics were lacking. So be prepared . . no salt and pepper, only the TP on the roll, hotel soap that lasts one day, no laundry detergent, no beach towels -- these are all things provided in other Tahoe keys homes I have rented in the past. The owners could invest $100 and get an additional two stars! But all the running back to the store for the most critical things was a pain and made the stay less pleasant than it could have been to just have an extra roll of TP ready for you. The unit also has a strange smell?? Maybe the cleaning agents used. You get used to it though once you are in it. But the views and location are great! Our stay in Tahoe Keys was fantastic throughout the winter. I would highly recommend using Tahoe Getaways for any stay while in the area. Thank you! Hope you have a great summer, let us know if you need a ski lease next winter.